Just a quick shout about my fiction food post for homemade goat cheese! 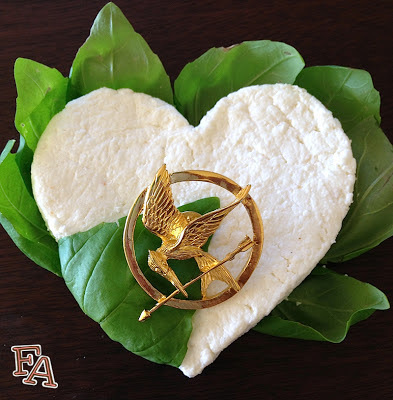 The post includes directions for plain goat cheese plus flavor suggestions as well as how to make little basil-wrapped patties, just like Prim left for Katniss on Reaping Day in chapter 1 of The Hunger Games! Love this Diana! I am learning to make cheese too. I love how you wrapped it in basil, and the way you photographed it! Thank you! It's amazing how easy it is to make cheese after you do it a few times!